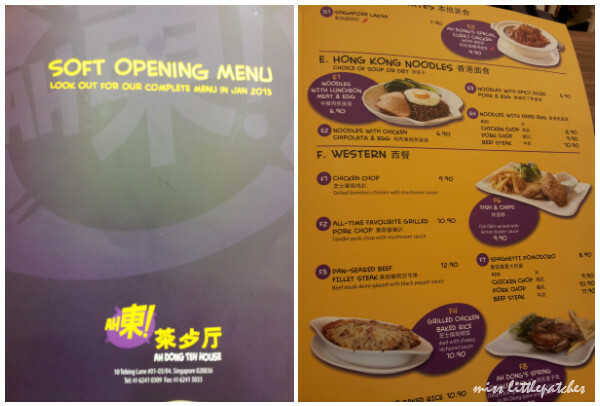 Saw this new signboard when I was in the LRT the other day, realised that there’s this new restaurant located at @Punggol, just next to Frienzie Bistro & Bar. It was Shin Nichi (a Japanese restaurant) previously. Wanted to try but it’s either we have to work late or too tired to dine out. Finally get to go there yesterday. We were brought to our seats and were given the menu. It says “Soft Opening Menu”. Did a search in Openrice.sg, it says it’s a Taiwanese cafe. Looking at the menu, doesn’t seems like it, or perhaps it’s not a full menu? 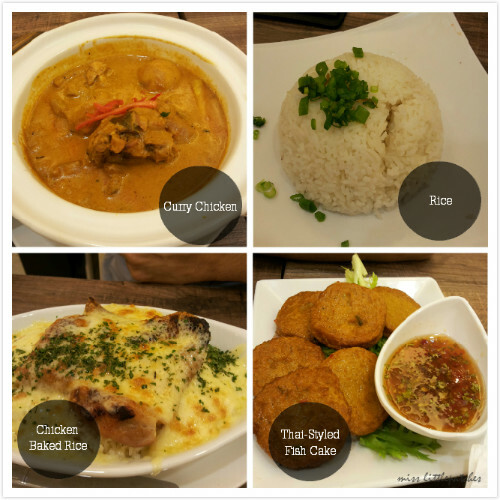 Well, there are local delights like Curry Chicken, 2 or 3 HK noodle dishes/claypot rice, western food, appetizers, 2 x soup, etc. There are no bubble tea, but there is 鸳鸯 (Yuan Yang, a popular HK beverage – mixture of milk tea and coffee), some ice-blends and milkshakes, etc. Placed our order and happily waiting for the food to come. Compared to my Chicken Rice, his Baked Rice definitely taste better. But personally I think the herbs on the baked rice was too much. The sauce in the Baked Rice tastes familiar, we think it’s the Garlic Sauce, but not very sure. His mom used cream of mushroom as the sauce, we shall try one with the Garlic Sauce one day. Should be the safest dish of the night. We’ve also ordered 2 Cold Honey Lemon at S$3.90 each, which I think that it’s quite expensive. Total bill, including service charge & GST adds up to S$41.80. The interior was brightly lit with white walls, seems spacious. But there’s something which I think it’s rather weird. The cutlery station is just a few steps away from the entrance, which can block people from going in or coming out if the staffs were standing there preparing the items to set the table. And, after the staffs cleared the table, they place the trolley of the cleared plates/cutleries, etc near the station, which really block the passage way to the main door. I certainly hope that what we’ve tasted was really for soft opening. Hopefully, their full menu in Jan 2013 will be attractive enough for us to visit again.